8" x 10" Pen-Ink and sepia charcoal on heavy acid free paper. 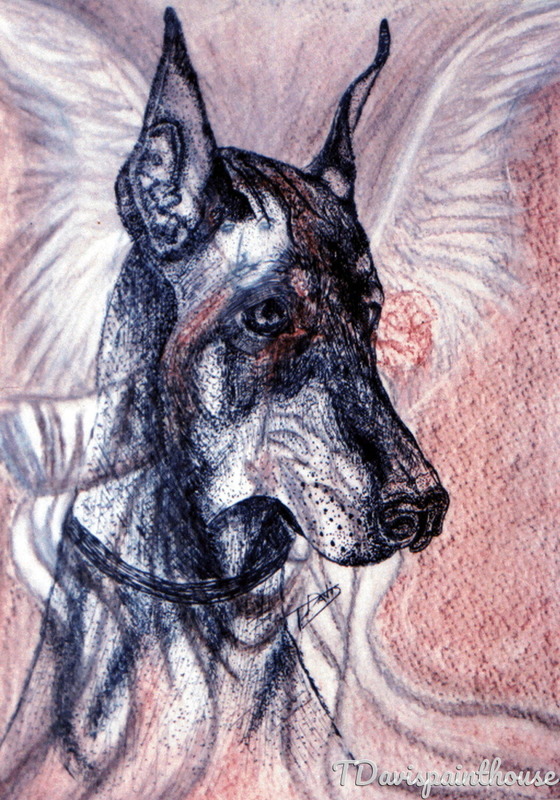 3 year old Doberman portrait with an Angel figure showing through the Doberman image. This creation was inspired by the Doberman's name being "Angel."